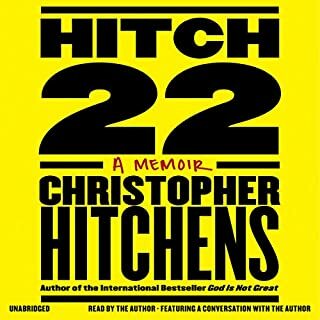 On June 8, 2010, while on a book tour for his best-selling memoir, Hitch-22, Christopher Hitchens was stricken in his New York hotel room with excruciating pain in his chest and thorax. As he would later write in the first of a series of award-winning columns for Vanity Fair, he suddenly found himself being deported "from the country of the well across the stark frontier that marks off the land of malady." Over the next 18 months, until his death in Houston on December 15, 2011, he wrote constantly and brilliantly on politics and culture, astonishing readers with his capacity for superior work even in extremis. Mortality is the exemplary story of one man's refusal to cower in the face of the unknown, as well as a searching look at the human predicament. Crisp and vivid, veined throughout with penetrating intelligence, Hitchens's testament is a courageous and lucid work of literature, an affirmation of the dignity and worth of man. 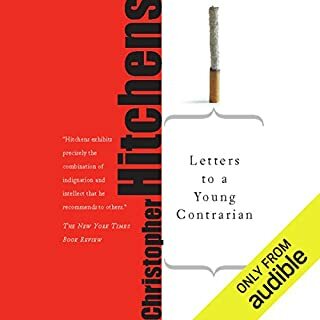 This short collection of writings done by Christopher Hitchens detailing his experience with cancer, dying and mortality reminds me in no little way of a 21st century Montaigne. While I was expecting Hitchens stoic materialism to jump off the page, I was also surprised by his gentleness. This is a man who loved life. He loved his family. He loved his friends. He loved to think, to write and to speak. Is there any greater testament to a life well-lived than to read or listen to a man's final words and walk away from that experience made better by his spirit and his strength. If "death is", to re-use Bellow's phrase, "the dark backing a mirror needs before it can give off a reflection," than Hitch's life and words were that same mirror's silver. Cancer. Spares no one. Christopher Hitchens nails it. How it feels to have cancer, the fears, the dealing with the stupid things people say to you, to atheism, theism and beyond. As one who is dealing with Stage 4 cancer and also facing my death, I found Mr. Hitchens words (and those of his wife) comforting, scary and real. A brilliant book. Hard to listen to as one who is dying. A necessary read for all. What made the experience of listening to Mortality the most enjoyable? My mother was also, unfortunately, a resident of "TumorTown". So, hearing this amazing writer share his journey with such vivid clarity, in some strange way, it brought strength and courage to me. I suppose that is what I most enjoyed about this audiobook. The foreword and the afterword where amazing additions to this book. I can't help but think the book would be incomplete without them. The fact that they were narrated by their respective authors was a pleasant surprise and especially powerful. This is the first time I have ever cried while reading or listening to a book. I have listened to Carol Blue's afterword three times and it moves me if not to tears, nearly to tears, every time. Well done! Simon Prebble is one of the best in the business. I would really like to know what song is being played at the end of the afterword. If any one reading this know what song it is or where the "credits" of the audio book may be found I would appreciate it. While I may not have always agreed with Christopher Hitchens, I always admired him. He was a light whose brilliance could not be denied, a writer and thinker whose unique voice resounded through the last 40 years of British and American culture. 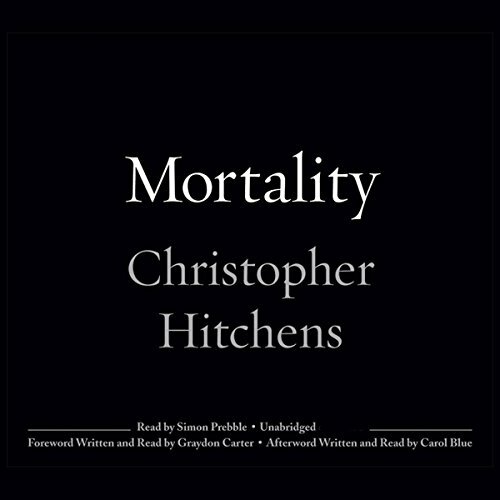 Mortality is a short collection of essays written by Hitchens in the last 18 months of his life, a clear-eyed view of his experience with esophageal cancer and the various treatments he endured in hopes of buying some time. The thing I loved most about Hitch is that he was never afraid to say out loud or in print what other people were probably thinking but generally kept to themselves. Here, he has plenty to say about clichéed cancer metaphors and euphemisms (like "battling cancer," which comes with the built-in assumption that those who "lose the battle" just haven't fought hard enough). He's at his best telling stories about the hypocrites around him, like the woman in a checkout line who tells him about a relative who had liver cancer, beat it for awhile, then got it again and died--in her opinion, "because he was gay." Was this intended to give Hitchens--a staunch atheist--hope, push him towards a god who would be so feebly vengeful ("Why not a lightning bolt? "), or what? Hitchens is also brutally honest about the devastation of both cancer and chemotherapy--honest, but without wallowing in self-pity. It's as if his own body has become a subject of observation and investigation. While it's sad, yes, to have lost Christopher Hitchens, Mortality isn't the depressing read you might imagine. It reflects the humor, brilliance, vitality, and clear-eyed realism that readers came to expect from him. Very finely read by Simon Prebble, with a heartbreaking epilogue by written and read by Hitchens's wife, Carol Blue. Pure clarity on the topic of death. Death is never a good thing, but Hitchens once again has spurred my motivation. Live life, and live it well is a good motto. But I don't think you'd ever reach the verve of Hitchens. I've never known of anyone so sure that they are correct, and that their path is the right one. While I didn't always agree with his points, I was never as sure about my opinion as he seemed to be about his. 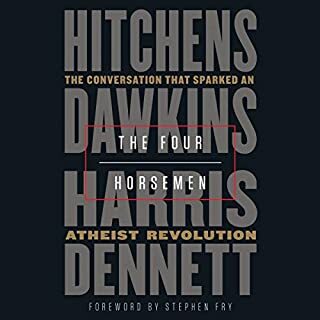 As I listened on, while I already knew the ending, I could not help but think that Hitchens was too smart, too creative, and too boisterous to not find a way to change the course of this inevitable ending. He gave insight into the plight of cancer patients, and intimate thoughts of the terminally ill. Insights that I think you'd only receive from a dear loved one going through the same illness and treatments. In all of his writing, the one thing I took was a severe pride in humanity. We are but clever animals, and look what we have accomplished. And all of us do what we do while knowing this fate awaits us. What courage it takes to live life like we're not dying. He wrote this with that same unending pride and thoughtfulness that he chastised religious believers for forsaking. Spending life on bended knee for an idea that has been improved upon was not for Hitchens. Dying while pretending he wasn't going to die was not his way either. He took all of the pain of death, and focused on it. He had to full appreciate what he was going through as he wrote about it. That takes some serious intestinal fortitude, and that was the way of Hitchens. While my rambling review is not great, I highly recommend this book. The book gives great insight into how one feels when they have an illness. The story is warm, funny, and very sad at the same time. I listened to the entire book in one day and then I listened to it again. I will miss his writings alot. Humor and Sadness: all wrapped up into one. 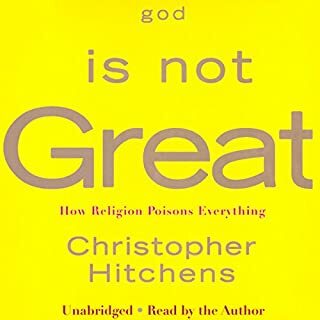 In contrast to what Richard Dawkins had to say about Christopher Hitchens as an orator (“he was the greatest orator of our time”), in my review of the Audible selection God Is Not Great, I referred to Hitchens’ mumbling narration. And then, the author literally loses his voice. I was angry. Angry at the poor production of the piece which might have had less to do with the narrator and more to do with the producer. But angry more that I could not literally or figuratively hear more of the wonderful voice that was Christopher Hitchens. Mortality is a very short description of the diagnosis, treatment and last days of the author’s life. While incredibly sad for those among us who admired him so, in these last examples of his work, I believe we mostly hear joy and good humor. I admired the intellect of Christopher Hitchens more than anything and so many scholars of his calibre lack that sense of humor or at least do not include it as part of their literary works; not Hitchens. Here he is funnier than sh*t right to the end. I often found myself comparing Hitchens in Vanity Fair with Hunter S. Thompson in Rolling Stone. I mostly agreed with both politically up until the Iraq War. Here there seemed to be a dramatic shift in Hitchens’ politics. Most of us on the Left embraced him as one of ours till suddenly he seemed to turn NeoCon. Well maybe he didn’t really. Here we go pigeonholing him and I think a person of Hitch’s stature deserves better than to be labeled left, right or center. “God knows,” one could probably never label him any one of those. We all could embrace Christopher Hitchens as one of ours. It was humanity that he was really all about after all and not any particular politique. Hitchens remained a polemicist right to the end and these essays are here to prove it. Sorry that you have left us, Hitch. You leave a hole in contemporary, scholarly debate that may not soon be filled. Would you listen to Mortality again? Why? Yes. Well written, expresses the reality of the battle of the human spirit when faced with its mortality, specifically cancer. Very factual and real. I could feel his pain and his anguish. Very well done, cognicent of the late writer himself. The afterward by Christopher's wife.. very difficult not to break down with her. My heart goes out to her. I am in the medical field and was moved and enlightened by Christopher's ability to express and describe his emotions and consequences. He is a huge loss to talent. All too brief, these writings from Hitchens's final months (previously appearing, in slightly different form, in Vanity Fair) have all of his characteristic wit, bite, insight, erudition, and bluntness. The final chapter before the afterward perhaps should have been more tightly curated (it consists of his fragmentary writing, yet to be finished at his death, but also clearly represents bits and pieces of completed works from the earlier chapters). But on the whole, it is welcome to have been invited in to his thoughts as he neared the end, free of any divine pleas or saccharine sentiment. Just good old Hitchens. 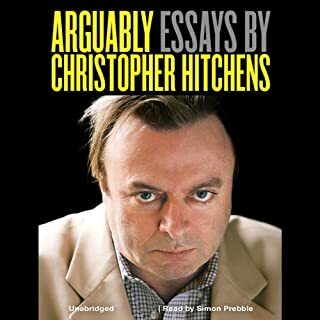 I would recommend this audiobook to a friend but only if that friend was familiar with at least some of Hitchens's vast volume of work. It would be a disservice to said friend, and to the late Hitchens himself if his observations about the process of dying were taken without some understanding of the man behind them. Christopher Hitchens takes the reader with him through all the physical, medical, social, and cultural indignities that those dying from terminal cancer experience. His commentary on what starts as hope, and ends as resignation is witty, wry, and incredibly sad. I am one of those who was unaware of Hitchens during his life, and only came to appreciate him after he was gone. He was a brave man - it can rightly be said that he lived the hell out of the life he had, and he kept going past the point where stronger people might rightly have quit. Which character – as performed by Simon Prebble – was your favorite? 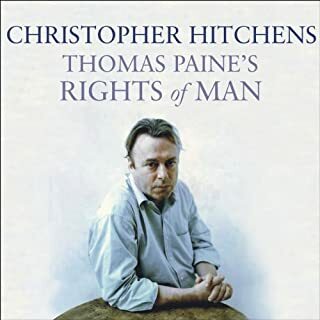 The author and his battle against cancer were the characters of the book - I thought Simon Prebble did a great job, particularly at the end of the book, at which point the narrative ceases, and there are a number of notes Hitchens had left behind relating to the book. Prebble read them in a thoughtful, considered way, that breathed Hitchens into them. It could easily have come out sounding more like a To Do list. My overwhelming reaction was sorrow that there was no more of Christopher Hitchens in this world to be had. Despite his talent and the huge body of work, both in letters and in speeches and debates that can be found in any number of places on the Internet, there's no more of that cutting intellect and brilliant reasoning that was the essence of Hitchens. He was a finite resource, and Mortality at least gave me some room to mourn what I'd discovered and lost, all within a short period of time. It's not a happy book. There is no happy ending. If you've found Hitchens already, then you're probably aware of Richard Dawkins, and Sam Harris, just to name two of his peers who have some very interesting views in common. If you haven't read them, you should. They, too, are entirely logical, unrepentant atheists, and represent angles of atheism that Hitchens sometimes touched on, and often discussed with both of these gentlemen. Look them up on YouTube when you get a chance.